CACUSS Gloves Women Autumn and Winter Knit Gloves for Women Warm Touch Screen Gloves Wear-resistant Cycling Travel Windproof Finger Gloves Ladies (Dark gray) by CACUSS at Average Adventures. Hurry! Limited time offer. Offer valid only while supplies last. 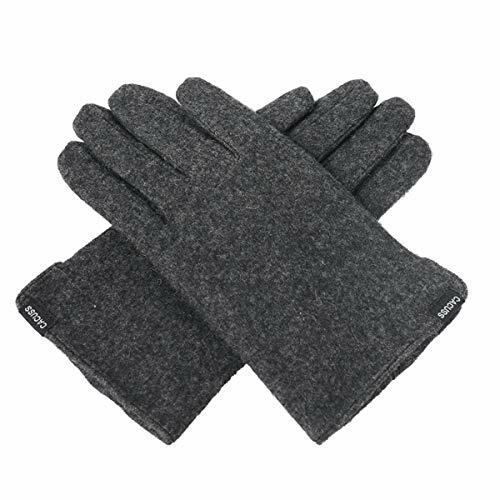 MATERIAL AND SIZE:78.5% wool 21.5% nylon;Lining:100% polyester flannel,womens winter biker warm glove,soft and smooth,mild and non-static,fine texture,not easy to pilling;One size, almost suitable for all hand circumference. FEATURES:The fabric is environmentally friendly,bright color,not easy to fading,shrinking and itching;windproof fleece,bicycling warm and comfortable,phone touchscreen(Generally,you can touch the screen.If the temperature is too low,it may affect the touch screen effect);Multiple colors to choose from（especially pink);Suitable for fall and cute winter;Can be used as a holiday and birthday gift to friends,family and lover. APPLICABLE OCCASION:Suitable for riding,hiking,traveling,rock climbing and other outdoors activities,cold weather gloves;It is suitable for womens of all ages. WASHING METHOD:Hand-washed with neutral soap or low-grade soap,gently squeeze in a soap and cold water,do not rub, to avoid sticking. ATTENTION:Due to different monitors,there may be a little color difference in the real thing.